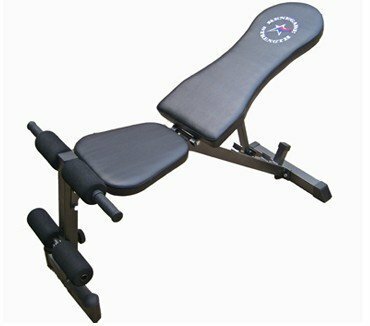 GWS-FID Features: -Bench.-Made of stitched, branded upholstery, ample cushioning.-Ideal for upper body workouts.-5 Different positions ranging from flat to negative / decline to upright.-Extended foam grips provide stability for abdominal exercises and reverse crunches.-Weight capacity: 700 lbs. Color/Finish: -Color: Charcoal Grey. Assembly Instructions: -Assembly required. Dimensions: -Dimensions: 21" H x 49" W x 25.5" D. Collection: -Collection: Renegade.